The bolded part of the paragraph is critical for the consistency of his Regression theorem. It is not sustainable theoretically to require that a good must have a previous utility before becoming money and at the same time stating that this condition does not have to remain. Then, how can a buyer or a seller capabale to judge the value of any new economic good if he had no information of its exchange value –its purchasing power– in the inmediate past? Why is the utility as a medium of exchange so special that the market is unable to assess it at all? The market is perfectly capable of discovering any new economic good´s value based on its utility, including monetary utility. Regression Theorem is supposed to solve a circularity in the sense that people grant value to a good as a medium of exchange because of its purchasing power. But currency does not have value because of its purchasing power — all economic goods have purchasing power–, but because of its monetary utility (scarcity, divisibility, difficult to fake, etc.) that makes it suitable as a medium of exchange. If the following statment is inconsistent: Bread is useful as food because is valuable as food. So is this one: Currency X is useful as a medium of exchange because it has value. Bread has value because it is useful as food. Currency has value because it is useful as a medium of exchange. This article is a response to Michael Suede´s Artcile “Against the gold standard“. First of all, I would like to state that I am a BitCoin supporter and I also think that gold is and has been the best money around until some other thing is discovered. Regarding the gold standard , I have a problem with the word “standard” as I think that money should be provided by the free market and not being subject to any other standard or regulation appart from law (civil and trade laws) that would apply equally when providing and exchanging any other goods and services. That being said, I think it is important to remark the economical nature of Gold and Bitcoins: Both of them are present goods. The fact that gold is tangible and BitCoins are intangible might be a relevant issue, but it is not something new at all. Software or trademarks are also present goods and they are not tangible. The most important thing about present goods regarding monetary utility is that they are not anyone else´s liability. Since I believe Bitcoins are present goods, and considering the Theory of Economic Time (TTE) from the austrian economist Carlos Bondone, they would qualify as money. Conversely, currencies that are not present goods can only be credit. I totally agree whith Michael Suede on his previous article about Bitcoins when he says “In summary, Bitcoins are money because of the properties they have“. An explanation of why agree with him within the TTE theoretical framework can be found here. Austrians say that Bitcoins don´t qualify as money because they don´t comply with the Regression Theorem of Money from Mises, which is true, but the problem is that the Regression Theorem is a very unfortunate interpretation from Mises of Menger´s origin of money. Monetary utility, which is the need for liquidity, is valuable enough by itself, no need a link to anything else to have value. I understand that Mises could not tolerate that fiat currencies (in fact credit currencies just as he realized) could be used the same way as commodity money, which was the “true money” on Mises perspective. But that was because he did not separate the concepts medium of exchange (currency) and present good used as medium of exchange (money). Currencies that are not present goods, can only be credit, and credit might be a currency, but it will never be money (understood as a present good) . A sound monetary theory has to be unmistakable clear on this: money ≠credit. Now, regarding counterfeiting and fraud, I do not agree with Michael. From a theoretical point of view, fraud, theft and counterfeiting are not very relevant, specially when we talk about money or currency. Because all kinds of currency will always be subject to these risks, including Bitcoins. Also, any bearer currency such as Bitcoins or physical gold coins, are inherently sensitive to theft. I also disagree with Michael regarding clearing services (i.e. limiting all transcations to P2P). I think it will be very hard for Bitcoins to have a wide success with no clearing services at all. Even transactions involving electronic currencies can be complex and expensive processes, which could certainly be simplified by clearing services. That would be financial institutions’ role, and I think that it could be perfectly done if all indebtness priveleges they currently have are removed. Bitcoins could be an excellent pressure to change these laws since they are best suited to work without these institutions, but I have no doubt that Bitcoins would perform better with those sound clearing services. Also, not all the people have enough knowledge to handle all system security needed to protect bitcoins, and would prefer to ask for a custody service, even giving up anonimity but on the other hand improving security. A free market surely would cover all needs, and I think this need for security and the aforementioned need for clearing services will always exist. Menger observed that in a free market usually the most marketeable commodity becomes money, but he never stated that was a mandatory pre-requesite for money. Mises Regression Theorem was a very unfortunate interpretation of Menger’s observations. For example, the discovery of gold´s excellent monetary utility could have been achieved before it had any prior non-monetary utility. In fact, in my opinion using gold as an ornament was a primitive form of minting what already was perceived as having good monetary properties. Utility is what renders value, not the opposite, and money is not an exception. Therefore, from a theoretical point of view we must consider the Regression Theorem as unnecessary because monetary utility is valuable enough by itself. The need for liquidity is the need for certainty on future exchanges, and certainty is impossible to accomplish completely. That´s why anything that might provide us liquidity on the near or far future is valuable. So there is no need for previous industrial utility for a good to become money and the use of BitCoins is a categorical demonstration. And by any means this does not imply that any medium of exchange might be qualified as money, as we will see shortly. As I see it, BitCoins do qualify as money when they are used as currency — which they actually are — because they are present goods, the same way that software or an mp3 file are also present goods. And they are useful as currency because they have good properties as a medium of exchange: They are scarce, homogeneus, difficult to fake, easy to identify (this could be improved), easy to transport, divisible, etc. 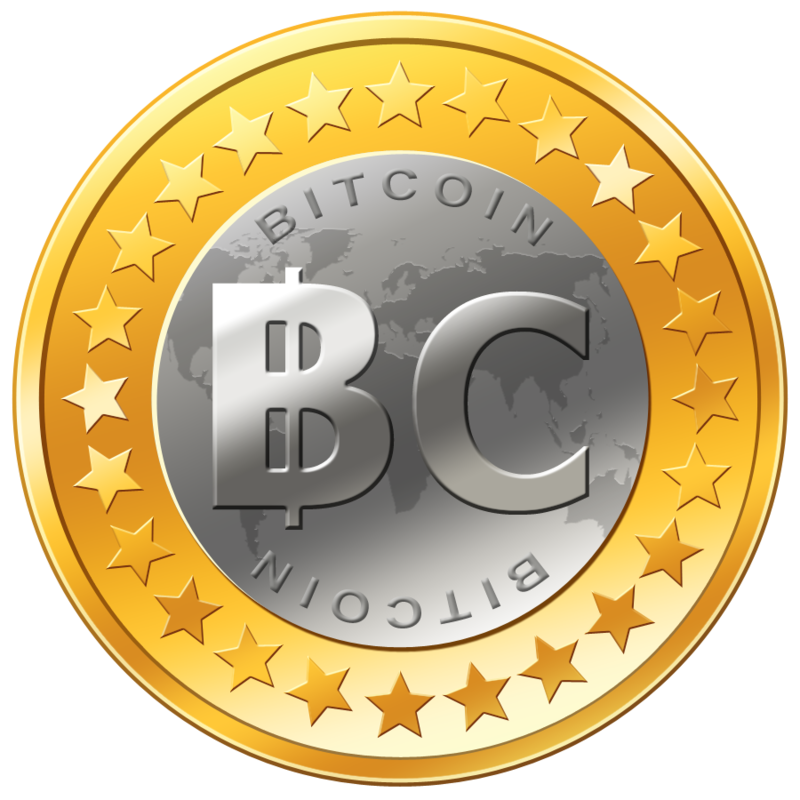 The perceived utilitiy of these properties is what makes Bitcoins valuable. Purchasing power is a consequence of utility, not the opposite. As long as BitCoins don´t have a non monetary utility, Mises followers are correct when they say that if BitCoins loses its currency status, then their value would drop to zero, the question is, how much value would also lose silver or gold if they were not used as currency (store of value) anymore? BitCoins are not risk-free, as nothing in life is risk-free. Me he dado cuenta de que las teorías económicas vigentes, no suelen hablar del factor tiempo a la hora de producir bienes de capital. No es de extrañar ya que la teoría predominante, que es la Keynesiana, deja mucho que desear en cuanto a teoría del capital. El profesor Rallo explica muy bien esta carencia. En mi empeño por poner en práctica la teoría del tiempo económico de Carlos Bondone, voy a intentar hacer un breve análisis de como afecta el tiempo a la producción de bienes de capital. ¿Que necesitamos para fabricar un bien de capital como puede ser un molino o una furgoneta de reparto? Pues casi por reducción al absurdo podriamos decir que el ingrediente principal es el tiempo ¿no es así? Sin que transcurra tiempo, dificilmente podremos fabricar nada. Creo que las teorías vigentes no tienen en cuenta este hecho porque lo dan por supuesto o como condición imprescindible. Pero no creo que por eso, por su obviedad u obligatoriedad, haya que ignorar el tiempo como factor de producción, de la misma forma que lo es el acero para fabricar la furgoneta de reparto. Por otro lado, creo que es importante destacar el papel que juega el tiempo a la hora de obtener o producir bienes presentes en oposición a los bienes futuros. Los bienes futuros son ideas, compromisos (dentro de un mes te daré un coche), y por tanto crearlos es una tarea que consume una cantidad de tiempo muy pequeña, podríamos decir que muchas veces no será una cantidad de tiempo económicamente significativa. Por ejemplo, crear un pagaré por 1.000.000€ puede ser cuestión de segundos. Sin embargo los bienes económicos presentes requieren tiempo para ser obtenidos o producidos, especialmente si son escasos y/o valiosos. Por eso es tán importante diferenciar entre el dinero y el crédito cuando ambos se utilizan como moneda. El primero es un bien presente (oro, ganado, sal) y el segundo es un bien futuro (un pagaré o un apunte contable). En particular, los bienes presentes que además son bienes de capital, suelen ser significativamente valorados, y los que requieren de mucho tiempo para ser producidos suelen ser valorados aún más, ya que de no ser así los empresarios no emplearían su valioso tiempo en producirlos. El ser humano dispone de un tiempo limitado, es una cuestión natural que estamos obligados a padecer. Por eso, desde el punto de vista de la economía, es impensable plantearse que el tiempo no tiene valor o que su valor es negativo. Solo para un difunto esto sería cierto, pero estaremos de acuerdo que las valoraciones subjetivas de los difuntos no entran en el campo de estudio de la economía. Buscándole tres pies al gato, podríamos decir que un suicida podría no valorar el tiempo, en este caso entonces la percepción subjetiva del suicida es que para él, el tiempo no es un bien económico. Pero estaremos también de acuerdo en que la gran mayoría de las personas consideran valioso su tiempo, y por tanto otorgan al tiempo la categoría de bien económico. Por eso, porque el tiempo siempre es un bien económico, y porque el precio de todo bien económico es mayor que cero (de lo contrario no sería un bien económico) el interés, que es el precio del tiempo, no puede ser negativo. Un precio cero o negativo en economía es como en física pensar que un objetono tiene masa o ésta es negativa. Tampoco nos debe confundir lo que se suele llamar “tipos reales negativos”, cuando a los tipos nominales se le resta la tasa de inflación y obtenemos un resultado negativo. Una cosa es el precio del tiempo, y otra muy distinta una depreciación de la moneda que estemos utilizando como referencia en ese momento. La inflación no deja de ser una prima de riesgo por impago que se añade al tipo nominal. Por otro lado, tampoco me gustaría olvidarme de mencionar que es un hecho que el mercado a veces ha descontado “tipos nominales negativos”, por ejemplo las T-Bill a corto plazo cuando la crisis de Lehman. Pero entiendo que la interpretación correcta de ese hecho es que los compradores de letras estaban demandando (pagando) por mantener su capital a salvo (una especie de pago por servicios de custodia), no debemos entender que estuviesen pagando por prestar. Esta situación se debe a que el mercado elige de lo peor lo menos malo y ante un temor de quiebra bancaria generalizada, se percibía que el aun solvente Estado americano era una mejor opción que cualquier banco, ya que “gracias” a la reserva fraccionaria no existe la opción de acceder a un verdadero servicio de depósito.